In english: "RUB" or "rub"
In Russian: "РУБ" or "руб." (better for russians). Unfortunately Russian Ruble is currently not supported by our payment options as of the moment like if your going to read about paypals supported currecny it is not supported yet. Hopefully once paypal or other payment options decides to add your currency that we will be able to send an update to our users regarding that. 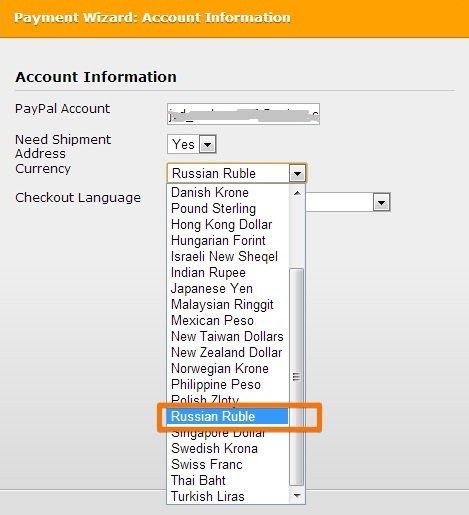 Paypal accept russian currency from this month. You can to check paypal.com for additional information. Thanks for the information. I was able to confirmed it. I have now escalated this request to our higher team so they can add this in the payment option anytime soon. We will inform you here once it's implemented. Added as 'RUB'. Have a great day! But I didn't see any russian currency! Can you please check it again, Russian currency shows on my end. Thank you for reply. I see now that it's only for Paypal option. Could you make currency for "purchase order" too? May we request you to create a new thread requesting for a new feature to be added in Purchase Order to avoid losing the main topic of this thread.